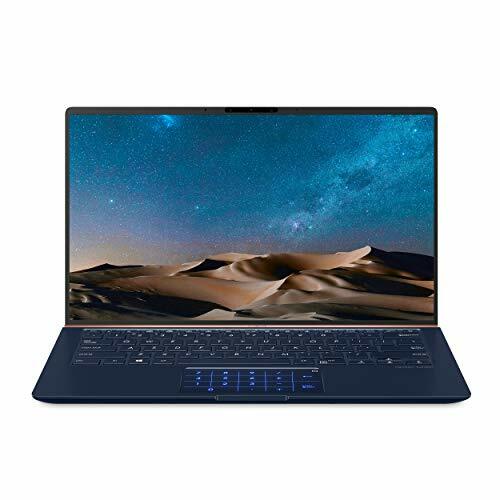 ASUS ZenBook UX330UA-AH55 is lighter, slimmer and faster than ASUS’s notebooks in its class packs latest 8th gen Intel Core i5 processor and fast storage and memory featuring 256GB Solid State Drive (SSD) with 8GB DDR3 RAM, a fingerprint sensor, and USB Type-C support. The UX330UA-AH55 is an upgraded model from previous generation UX330-AH54 which received lots of positive reviews from media on its outstanding performance, long battery life at the affordable price that surpasses many other laptops. Again, the new ASUS ZenBook brought solid performance and excellent quality to a price everyone can afford. 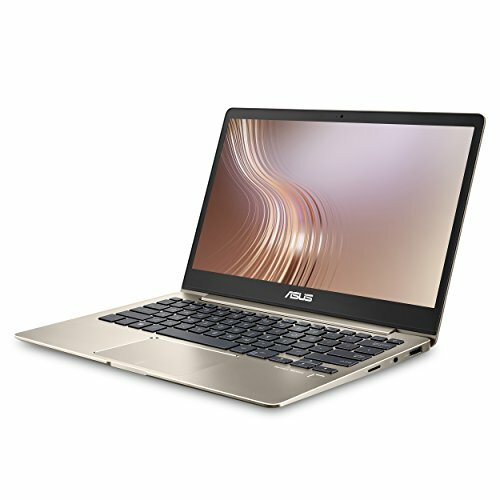 ASUS ZenBook UX330UA-AH55 is the really nice laptop with sleek and elegant design, identical to the previous model except for the hardware inside. It hard to tell between the two by just looking at them without a specification sheet on your hand. This ASUS ZenBook using solid aluminum alloy to craft it into its sleek shape while keeps the weight down to just 2.6 pounds. The machine offers a durable feel that is good for the price. Its lid features one of Asus’ Zen-inspired concentric circles, with a tough and durable brushed-metal finish adorning the rest of the chassis. The backlit keyboard has square, ergonomic full-size backlit keyboard. All keys provide fairly shallow travel (how deep the keys press down) but are ultimately comfortable to type on. An extra wide silver touchpad right beneath the keyboard has integrated left- and right-click buttons, which are smooth and responsive. The touchpad also simulates a touchscreen for effortless Windows gesture control. Thanks to a built-in fingerprint sensor in the touchpad and Windows Hello, there’s no need to type in your password every time to log in. Just a single touch is all it takes. The screen is 13.3-inch anti-glare FHD 1920 x 1080 display surrounded by half-inch bezel. The screen is further boosted by the ultra-wide color gamut, alongside wide-viewing-angle technology. That means it can display more colorful, more-accurate and more-vivid colors than any standard display, making it an impressive panel that you can use for long periods without eye strain. The ZenBook AH55 is equipped with a quad-core 1.6GHz (turbo up to 3.4GHz) Intel Core i5-8250U processor and 8GB of DDR3 RAM, ready for most day-to-day computing needs. It sufficient for day-to-day performance, but not for gaming since it integrated with Intel HD graphics that limited in gaming performance especially 3D gaming. The eighth-generation processor is the latest release and it provides great performance as well as quite a bit of extra battery life over previous ZenBook models. Battery life is impressive that lasted about 11 hours on our rundown test, thanks to its lithium-ion battery pack. It lasts nearly 6 hours longer than most competing laptops. This ZenBook AH55 give you the unmatched power and all-day portability you need to conquer your day. 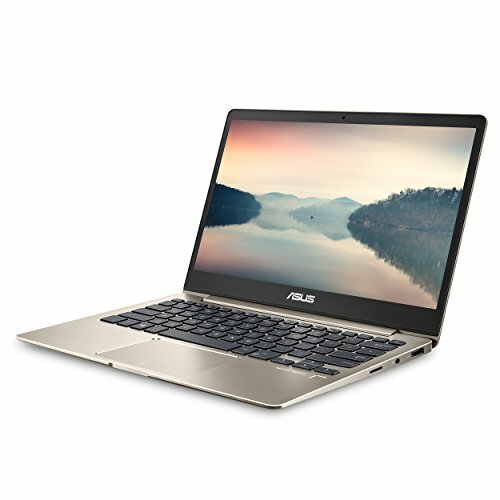 ASUS ZenBook UX330UA-AH55 features built-in USB 3.0 ports and USB 3.1 Type C deliver up to 10 times faster transfer speed compared to previous generation USB. One USB port is further enhanced with USB Charger+ for up to 50 percent faster charging to USB 3.0 devices even with the PC is ‘asleep’ or shut down. There also included micro-HDMI port on the right side of the laptop, an SD card reader, and a 3.5mm headset jack, although an Ethernet port is painfully missing. Wireless capabilities include 802.11ac Wi-Fi and Bluetooth 4.1. Sleek design. Lighter, slimmer and faster than ASUS’s notebooks in its class. Outstanding performance, long battery life at the affordable price.